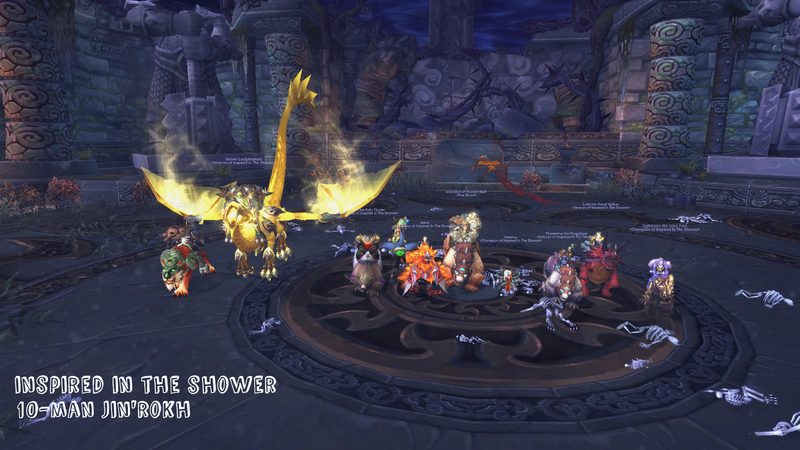 In my excitement over getting the Lei Shen kill yesterday, I completely forgot about posting the screenshot! Whoops. So here’s days 18 and 19 together! Day 18: Someone you spoke to today. There are five of us altogether that I always talk to pretty much everyday, but one’s currently on holiday and the other was asleep (I think) so they don’t get featured. Here we are, exploring Unga Ingoo – there are ziplines! Who knew? – and monkeying (HA, geddit?!) around. 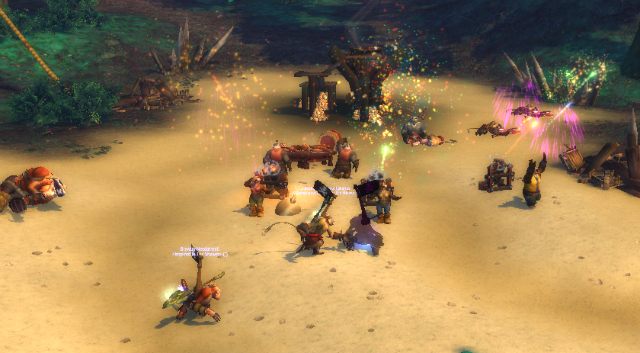 This is pretty much us all the time, in any instance – Firelands, BWD, Naxx, THAT HIGH SEAS SCENARIO WITH ALL THE CANNONS OMG. I have a hoarding habit. There’s SO MUCH STUFF in my bags that it takes ages to find anything: “I lost so-and-so item!” is a common complaint from me. 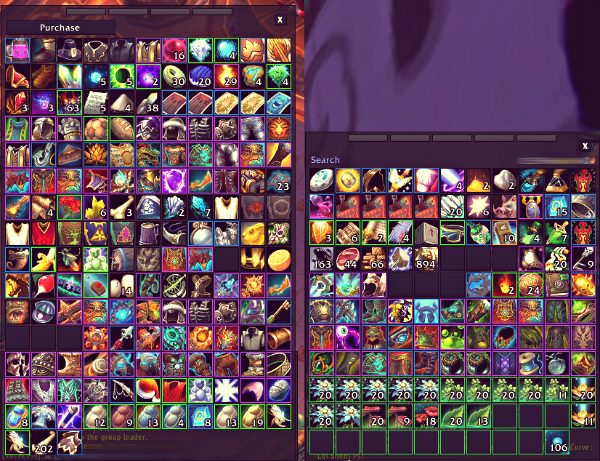 Is it in my inventory, or my bank, or my GUILD bank tab, or my void storage (latter two not pictured)? Did I send it over to an alt just to keep in the mail temporarily? Did I – oh no dear gods please no – ACCIDENTALLY SELL IT?! That last one is my greatest nightmare.